In addition, an accompanying website provides instructional materials for both student and lecturer use, including animated developmental processes, a photo gallery of selected model organisms, and all artwork in downloadable format. With an emphasis throughout on the evidence underpinning the main conclusions, this book is an essential text for both introductory and more advanced courses in developmental biology. Shortlisted for the Society of Biology Book Awards 2013 in the Undergraduate Textbook category. 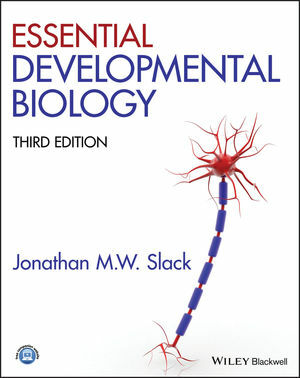 "The second edition is a must have for anyone interested in development biology. New findings in hot fields such as stem cells, regeneration, and aging should make it attractive to a wide readership. Overall, the book is concise, well structured, and illustrated. I can highly recommend it." "I have always found Jonathan Slack's writing thoughtful, provocative, and engaging, and simply fun to read. This effort is no exception. Every student of developmental biology should experience his holistic yet analytical view of the subject." PROFESSOR JONATHAN SLACK has worked in London, Oxford and Bath and is currently Director of the Stem Cell Institute at the University of Minnesota, USA. He is a member of the European Molecular Biology Organization and a Fellow of the Academy of Medical Sciences. He has published numerous research papers on developmental biology as well as three other books, of which the most recent is Stem Cells: A Very Short Introduction.